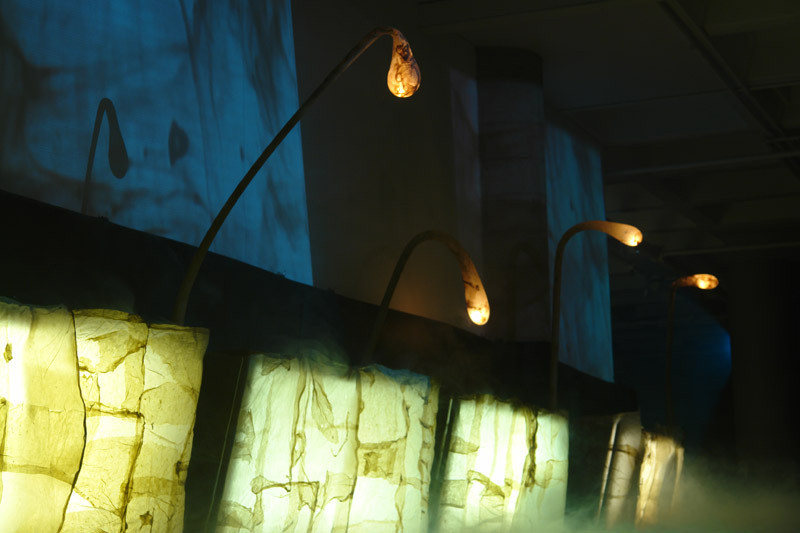 Caravan Installation with sculpted forms, light, video, hand-made paper, 2007. 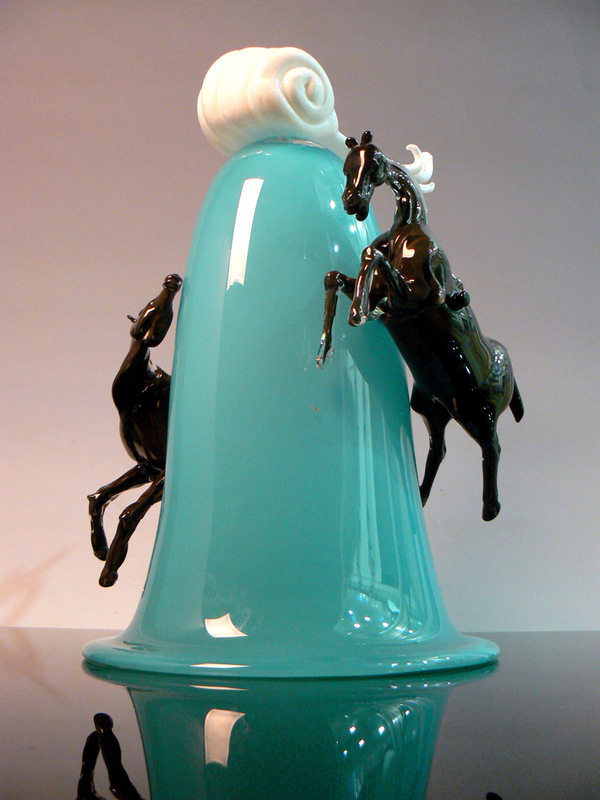 Fei Ma-Flying Horses, SHECO, Shanghai China. 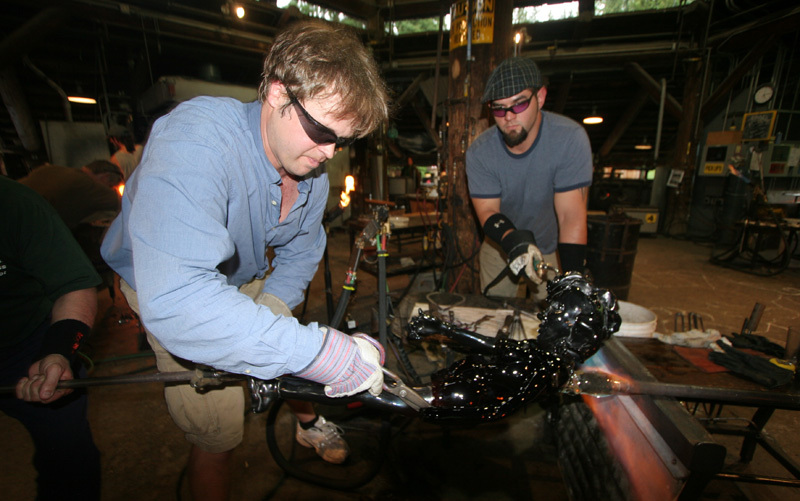 Sculpted from recycled bottle glass during Fulbright research, 2012. 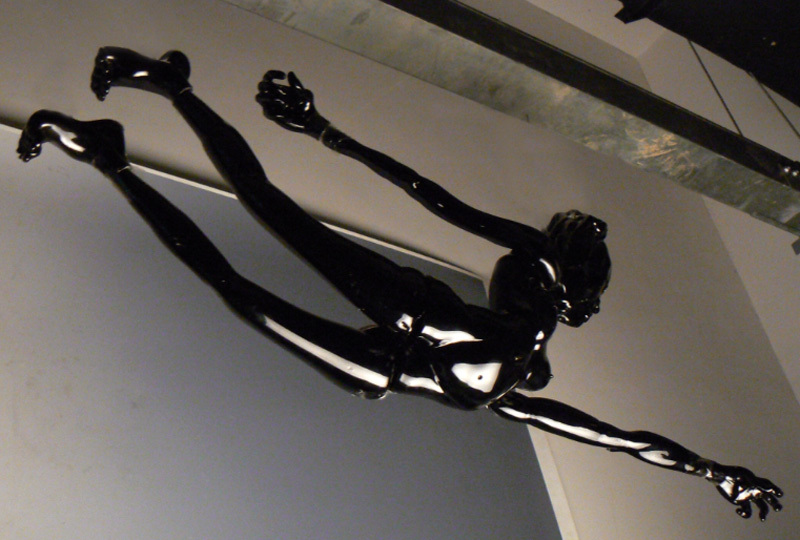 Modular sculpted glass figure, 2011. Swimmer, SHECO, Shanghai China. Sculpted from recycled bottle glass during Fulbright research, 2012. Horse and Mountain sculpture, SHECO, Shanghai China. 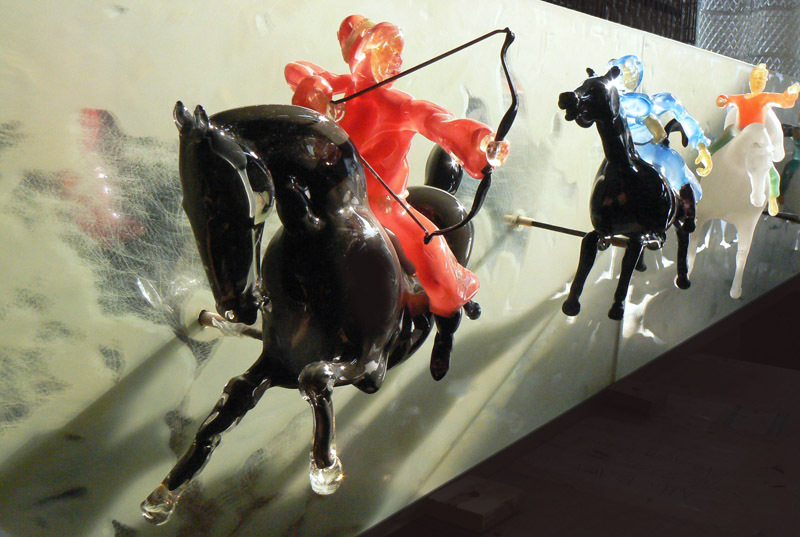 Sculpted from recycled bottle glass during Fulbright research, 2012.